As indie game features go, Stone Story RPG‘s ASCII art and bot mechanics turn heads for good reason, both pushing the envelope of what’s possible and challenging while creating a retro aesthetic I wish I’d seen during my childhood. With so many games focusing on eye-popping 3D art and franchise protagonists, the 2D world of SSRPG and its innovative use of assets feels even more impactful, which made my chat with Lead Developer Gabriel Santos a delight. Erik Meyer: As modern RPGs go, Stone Story certainly breaks with tradition, using minimalist ASCII art and levels that increase in difficulty, incorporating moonlit canoe excursions and angry monster trees (among other fantasy constructs) to create a fantastic world. That said, every game has its moment of genesis, the point where the developer thinks: I really have something here. So for you, what was that initial kernel that kicked off the rest of the project, leading us down the road collecting tar and rocks and timber? Gabriel Santos: There really were a few pivotal moments like that, but the first spark was back in 2014 upon a failed Kickstarter for another project. My team at the time became demotivated and I couldn’t carry that project on my own, so I looked for another idea that I could execute by myself. For the previous year I had been studying ASCII art as a hobby, which gave me confidence it could work. In addition, I’ve always wanted to make a Western RPG similar to Diablo (yes, I have a gamedev ‘bucket list’). I mashed the two aspects together and ran with it immediately. At one point, I posted the first animation of a bat flapping it’s wings and everyone went crazy. EM: Plain text ASCII art makes for a bold visual style, one I’ve seen a fair amount of in homegrown DOS executables and hacking software; given the development of Stone Story as a project, what led you to present ASCII as fully animated scenes, and does it take as much time as it looks like it would take? And in the pursuit of the essence of an image, how would you rank the importance of elegant simplicity? 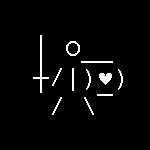 GS: I love making and animating ASCII art. That’s the best part of my day, when I don’t have marketing, business, or programming tasks to do, and I can just sit down and start typing. The process, truly, is similar to other art mediums: References, Concept, Keyframes and Tweens. It’s similar to pixel art, which I feel is actually more laborious to animate than ASCII. Simplicity is important due to legibility. I think one of the main innovations in SSRPG is how the actors achieve depth and multiple layers of information. Several tricks go into this, but simplicity allows just enough information to be delivered, and your brain does the rest of the magic, filling in the blanks. EM: You’ve mentioned the inclusion of bot mechanics in activities like combat and looting, so let me into your head a bit on that. In the days of pen-and-paper games, I remember being vexed by friends who wanted to game the system and progress as quickly as possible, and yet when playing any videogame that includes levels and equipment buffs, most people turn into ‘power gamers’… so in the world in which you work, what led you to the mechanic that has an artificial intelligence controlling the main character? GS: First, let me say that as a game designer I’m really appreciative when a new genre comes around and sweeps through the industry. Most people would not think of this when they see Cookie Clicker or another idle game, but the idea of a game that plays by itself, and is actually fun this way, is a super modern concept, and it works. Then, there are behaviors in MMOs or other RPGs where players will create scripts to automate basic gameplay to defeat the grinding. Companies generally frown upon this, but I figured I was already making a weird game, might as well try giving everyone a bot that plays optimally. I tested this idea in one of the early prototypes and people liked it, so it stuck. Since then, the whole game was built around the reality of having this bot, to the point where if you removed it, the design would no longer work. In testing, some players have found ways to further automate the game where I had not anticipated. When possible, I incorporate those ideas into the bot as well. EM: Many games include crafting, but the workstation system in Stone Story feels a bit different, maybe because there’s an almost MUD-like feel to the interface. As you’ve added items and permutations of items to the inventory list, what do you see as essential about this aspect of the game, and given the explosion of titles that include blueprints and schematics and combinations of items, have you made any tweaks as you’ve gone along? GS: I wanted to create a crafting system that was simple but fundamentally unique. There’s an old web game called Little Alchemy that has stuck with me as a great game design deconstruction. In this game, you combine 2 things that you already discovered to make a new thing, with the goal of finding all the combinations. It’s simple but really fun. My hypothesis is that this mechanic could be used in the context of a greater game, so I’ve looked for a ‘home’ for this idea, so to speak, and I think Stone Story RPG is a good place. It also solves another important problem in Western RPGs, which is excess common items you get from loot drops. Usually, games solve this by allowing you to sell common items at the shop, but in SSRPG all common items are useful as ingredients in the crafting. EM: Twitter showcases a huge range of quirky animations you’re working on, and you’ve spoken to a love of Discord, noting that it allows you to drill down on a problem with a committed community. With social media providing so many ways for audiences to reach out to devs and studios often trying to cover the bases with regard to promotion (Facebook, Twitter, Instagram, Tumblr, Discord, etc), what channels do you see helping projects like yours, and as a dev who values his time, how do you avoid overcommitting? GS: I have indeed shared my progress through the spectrum of channels. They each have their advantages and different audiences. Twitter is really important for connecting with the broader indie community. As for the daily development updates, I am currently leaning heavily on Discord. It’s just very good software, first of all. It has the feel of the old IRC servers, but with all the modern features you’d want, and a seamless transition between PC and mobile to boot. I’ve also streamed on Twitch, another real-time way to interact with the community. The main difference with Discord is that information on Twitch is ephemeral and a lot more one-sided. It’s not ideal for having a conversation with the players, plus, keeping the record of their suggestions and bugs found is really valuable. I also suspect it fosters healthier interactions without trolling or hate because the server is a cozier space–it’s personal. EM: As human beings, we’re born with basic facial/image recognition systems, which means we glean meaning from subtle shifts in posture and expression. When my daughter was a toddler, she would draw faces as circles with a big T in the middle; adults who have never learned to draw well often use stick figures to illustrate ideas. Do you see our love of symbols and symbolic art reflecting the actual physical world in which we live, or do many of our glyphs come from an instinctual drive to describe meaning? GS: Most certainly the latter. Language is our true strength as a species. This way of understanding the world through symbols is explored, for example, in cartoons and comics, and has been studied in depth. On this topic I recommend Understanding Comics by Scott McCloud–excellent starting point. I often show my wife an ASCII piece and ask her what she sees, to judge the readability. There was a funny moment in the project where I showed her the drawing of a gate, and she asked me why the gate was made of wood. For a while this puzzled me. As it turns out, very early in the game wood is defined as certain combinations of symbols. The gate is now made of “Bronze”. EM: When it comes to the eye candy parts of games like cutscenes and boss fights, what must-do elements do you feel have to be included, and what makes a scene memorable, as opposed to serving as a transition vehicle we simply move past? When a player is either challenged in an extreme way or conversely guided to a new location, how do you make the levels of engagement fairly consistent (or do you)? GS: I think this is mostly an intuitive creation process. You make something and see how it feels. I replay the levels and keep tweaking and improving. I show it to people and see how they react. Certain sequential structures become successful and propagate to other level designs. Ideas and structures that fail either get changed or cut from the game. EM: I see Stone Story having a focus on players trying out different gear, both in adventuring and crafting, resulting in multiple equippable configuration and numerous play styles, which leads me toward a conversation of clear best scenarios. Do you, as a dev, feel a need to avoid a best weapon in the game or best armor in the game in favor of a multitude of carefully-balanced and equally useful wands, sabres, spears, flamethrowers, etc? Or do you see the joy of victory existing more in the ‘look how I just beat the tree’ kind of mentality? GS: Balance is an extremely challenging part of development. From my experience so far, it’s ok to have a few optimal builds, as long as non-optimal builds can also be successful. I’ve done a lot of work during the Beta to make this happen. I think the key is to provide players with different scenarios that cannot be defeated with the same gear and a variety of tools to solve those problems, then let them figure it out. There is an incentive to revisit locations at higher difficulties, so investing in multiple gear sets is an advantage. Often the players surprise you with the optimal solutions, and I think that’s wonderful.